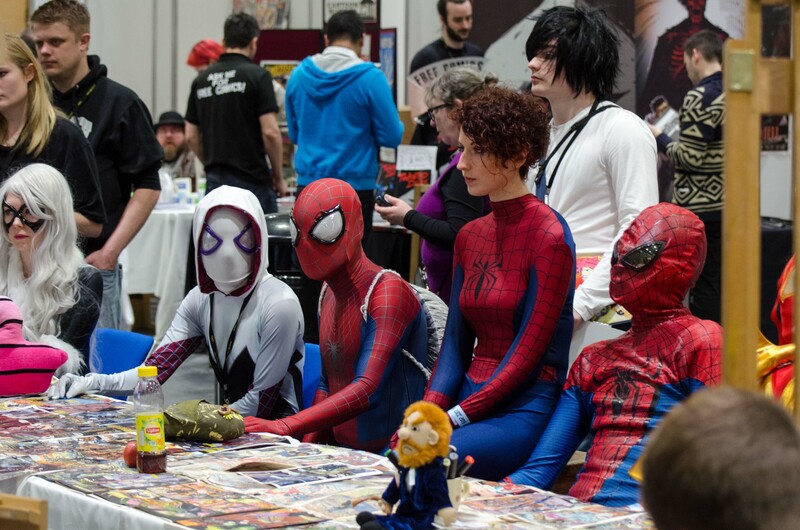 Secrets of the London Super Comic Convention Connoisseur! 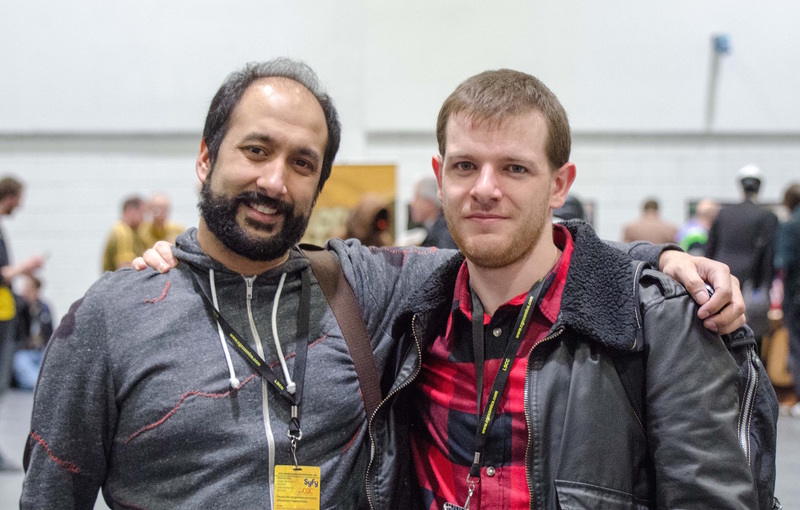 As I entered my fifth comic convention and my third LSCC, I am now firmly attached to the hip of Rathan (@fractures), who has become my convention buddy. I only just found out this weekend that this is only the fourth time this event has been held. 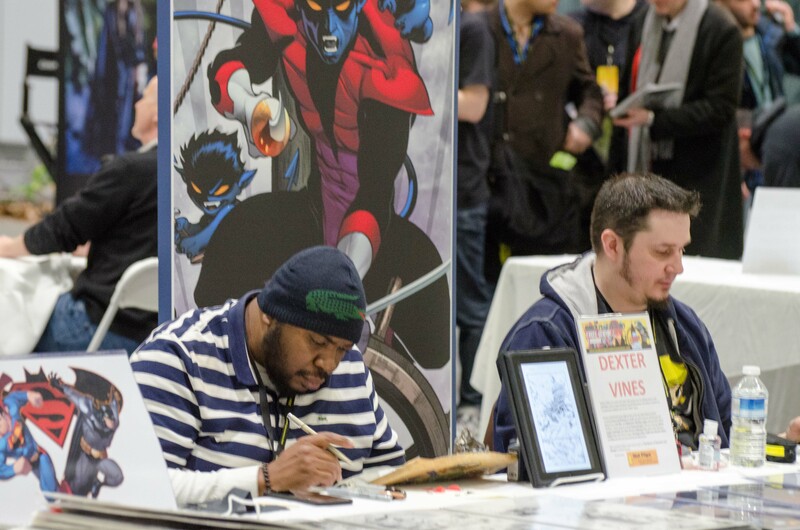 As the years have flown by (two precisely) I still look forward to meeting comic creators but this time I was more excited about meeting my friends. What were once Twitter acquaintances have rapidly become true friendships, this goes for those I have met multiple times and for those who I meet for the first time. The list of convention artists and writers felt quite small this time for some reason, with the greatest pull being John Romita Junior. 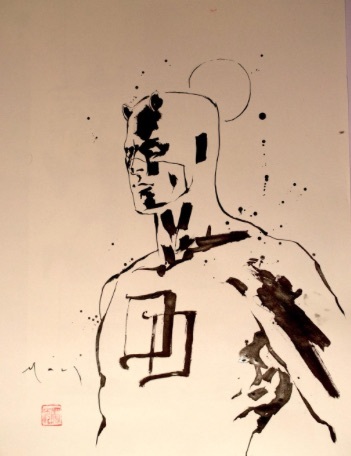 However my intentions were quite clear from the off, to meet David Mack and to ask for a commission because I have been in love with his Daredevil art for such a long period of time but also his work on Alchemy. Suffice to say I was successful in this venture and will reveal all later. But first let us see who was knocking about. 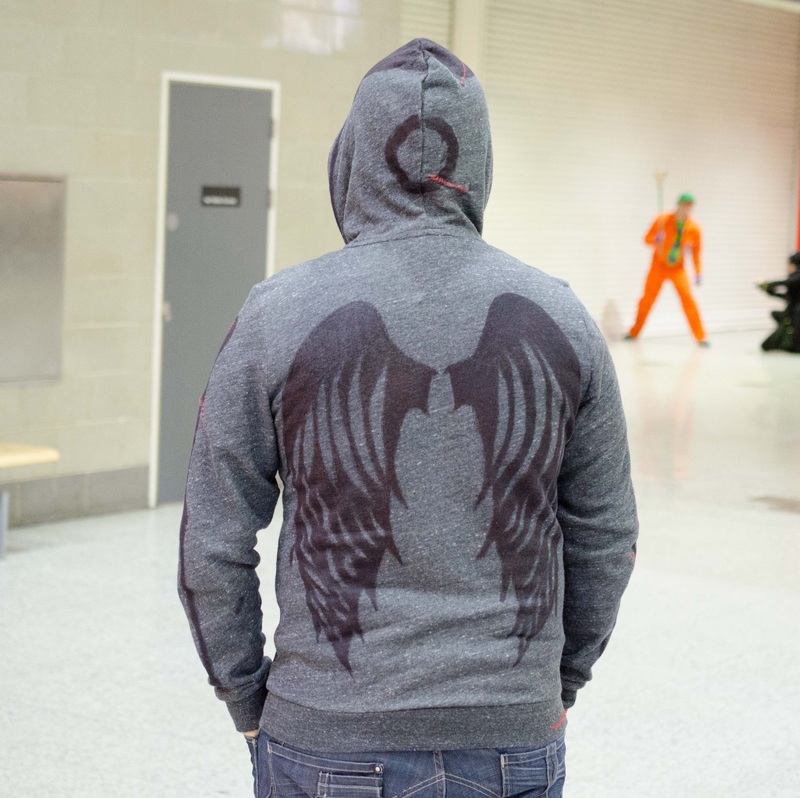 By the way I had come dressed up this year with a seemingly obscure outfit I had decorated myself: Em from Revival! As you can imagine the queues for this man were quite lengthy and they were capped off rapidly. Mr Jomita Jr was ever the smiling gentleman as he greeted numerous fans. Frak and I were fortunate enough to grab him during the afternoon. He was genuinely enjoying his day and maintained his enthusiasm for the majority of it. When I greeted him I asked him who his favourite characters were to draw, he replied by saying Daredevil because he was simple and stylish. 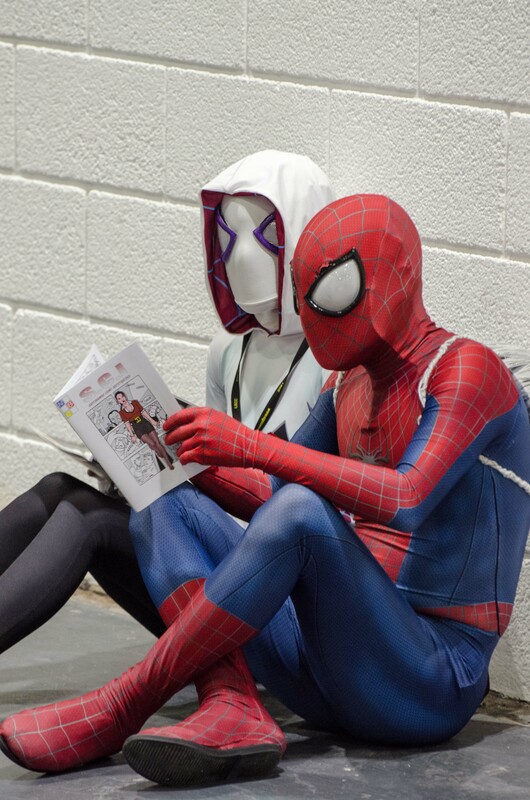 His favourite character is Spider-man but there are too many women in that book that made it difficult to draw. I never got the chance to elaborate on those comments but I did ask about his move to DC. He said Marvel were trying to get him to draw a Groot book, to justify the amount they were paying him, but he had little interest in that. So once a contract offer came from DC, he took the opportunity to draw other heroes and is enjoying his time there. He wasn’t sketching much at all but I think a few people got to have some drawings the following day. I managed to sneak a picture of some of his work! Also Ill let you decide your thoughts in the triple diamond studded ear piercings. 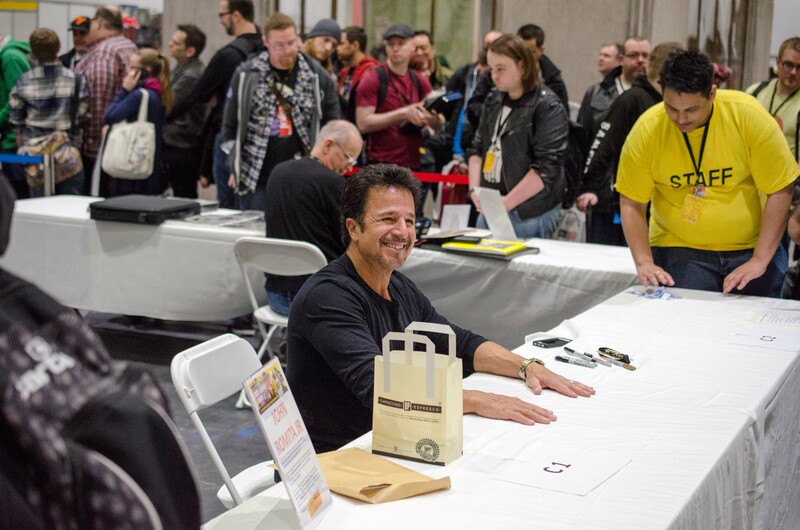 Klaus was a pleasant man and signed almost all of the comics I brought to the convention. I was amazed at how much work he has inked over the years and how close he was to JRJR. I asked how it came about and he simply said that they developed a rapport and the work became easier and easier. 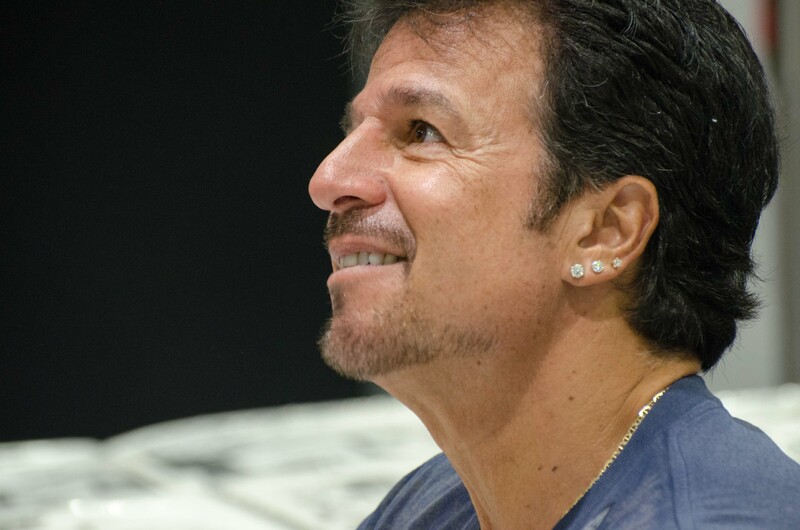 We also discussed how there was a natural evolution of their style over the years and how it looks different now to the earlier pieces of work. Please forgive the odd picture but I found it quite strange that there was a small child in a makeshift bed behind him! I thought I would wait to see Mr Bolland because most writers have queues that slowly die down. Suffice to say I was wrong and I did not meet him until the following morning. I was listening to a fellow admirer in front of me who asked if he had drawn any of the new52 DC covers. Brian answered by saying he wasn’t sure but had seen so many books with this “new52” insignia and he had no idea what it was. I was astounded at this and proceeded to tell him what this reboot was all about, in a somewhat cynical fashion. He was a typically pleasant and polite in response. I had brought my Killing Joke for him to sign and asked him about the deluxe version that was recently released, especially about the colouring he carried out. The work we all know and love is not how he intended it because his instructions were for more muted colours. Also the Joker background panels were to be monochrome and he expressed his irritation at the finished work. The deluxe version was coloured by Brian himself to what his original intentions were. He insisted that I take a look at it. I found it later that day and noted how the original oranges, reds and yellows made Gotham look vibrant and alive, whereas the newer colouring seemed to drain some life from the book. Suffice to say, I was not impressed, but I did not go back to him to tell him so. Apologies! These two gentlemen were managed by another guy who was giving instructions and managing their workload. He was quite protective of Ed as you could not just get him to sign or have a conversation easily. However he wasn’t overly talkative but he was polite nonetheless. Dexter Vines is an inker from Atlanta and we had a conversation about how he was enjoying his time in the UK and was able to actually do some sight seeing. Luckily I managed to get both of these artists to draw for me and I asked Ed McGuiness for a headshot of the Hulk and Dexter Vines to ink it. 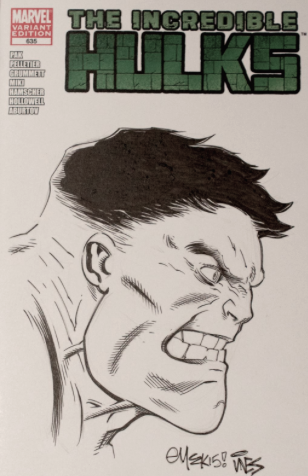 I have always admired McGuiness’ Hulk because of how exaggerative he draws him. 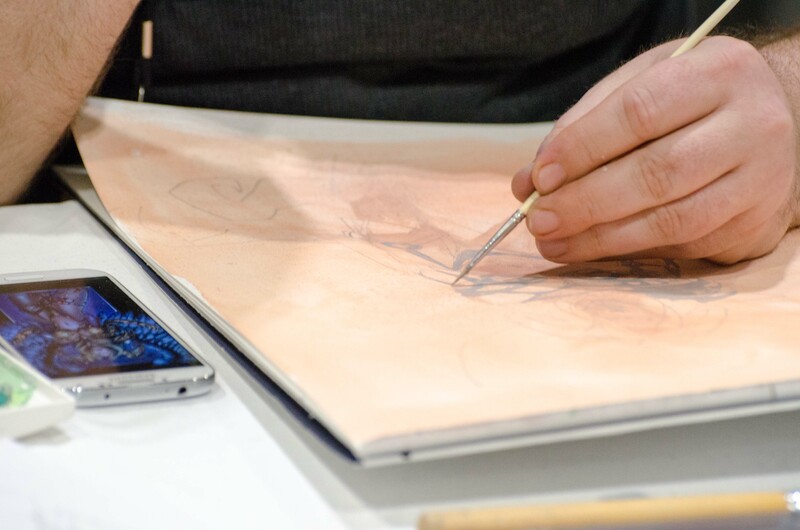 I watched Dexter ink the sketch and a great deal of finesse and the smallest paintbrush. I think you will agree the end product was just fantastic! 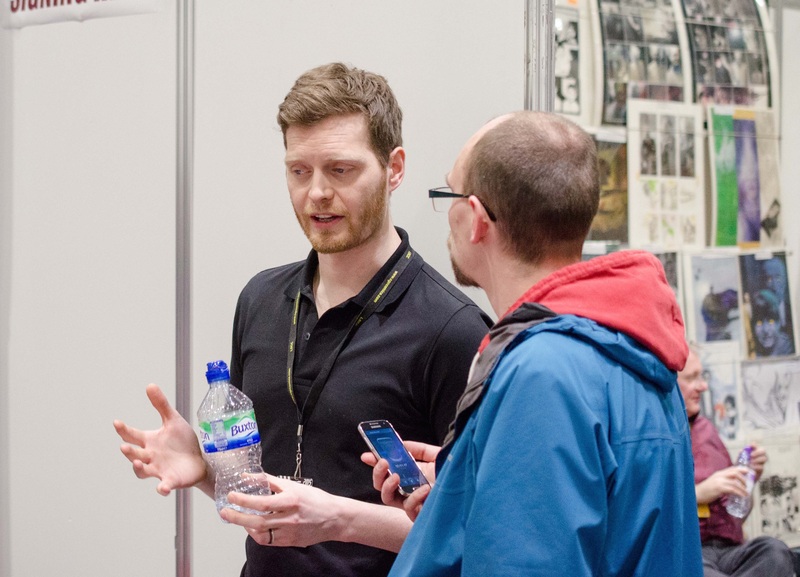 If you ever see Mr Spurrier at a convention then I would implore you to go and talk to him. Rarely will you find a creator who is more engaging and patient to converse with. This was my third such time and I always enjoy it because he is a deep thinker, and you can see that with the way he writes. I first asked him how he came up with the idea of his newest character ForgetMeNot. Quite often he gets asked which superpower is his favourite and he finds the basic answers the most dull so he came up with some ideas. This is where the character Legion meets in Legacy came from, the kid that took credit for everything. Similarly ForgetMeNot is a hero that is instantly forgotten. Now you can begin to see the innerworkings of Spurrier’s brain here and how tough it must be to incorporate these characters into a story. I also asked him about the artists in Legacy and X-Force because they are clearly not from the UK. Huat from Legacy had a very good advisor that communicated well and often in English but with respect to Kim, there was little communication at all. You often hear how a good rapport exists between artist and writer and how essential that is to conveying the message. In this situation, it is clearly not the case. 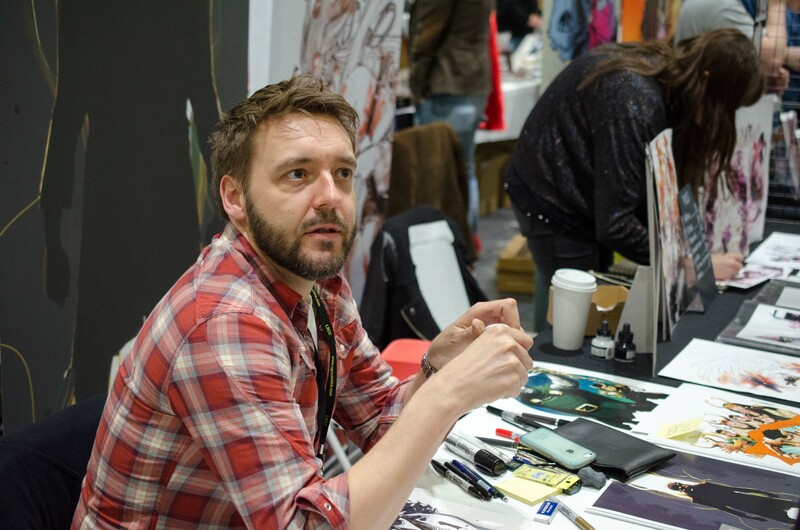 This was one of the reasons why Six Gun Gorilla was so successful and luckily for all of us, Simon has some new work underway with Jeff Stokely. 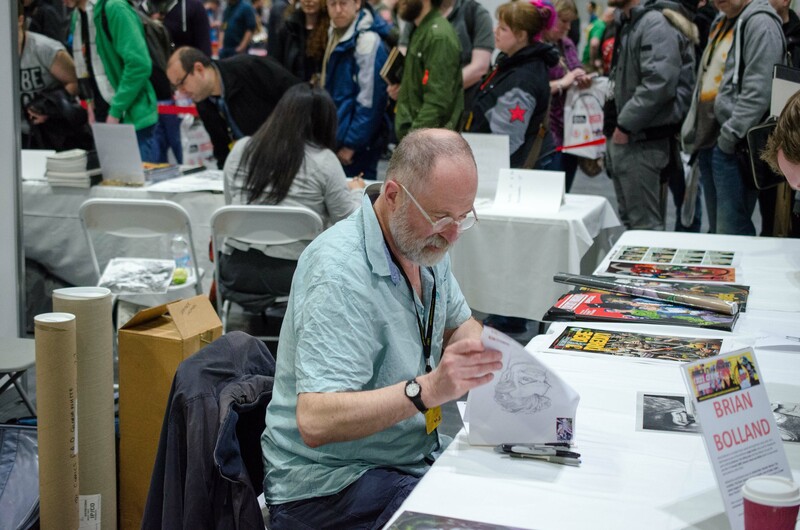 Mark is an exceptionally talented artists and once you arrived at his table, you really take note at how many covers he has developed over the years. His recent work on Deadpool has been beautiful but it was his Fearless Defenders covers that really caught my eye. They had such an impressive theme to them, such as the free Dani Moonstar figure and the page under construction issues. He told me that people complained because they actually believed there was an action figure attached to the comic and that it might have fallen off! Even the dress Valkyrie cover was fantastic as he told me that you could actually cut out her clothing and assemble her as a free standing character. Nobody has done this….yet! 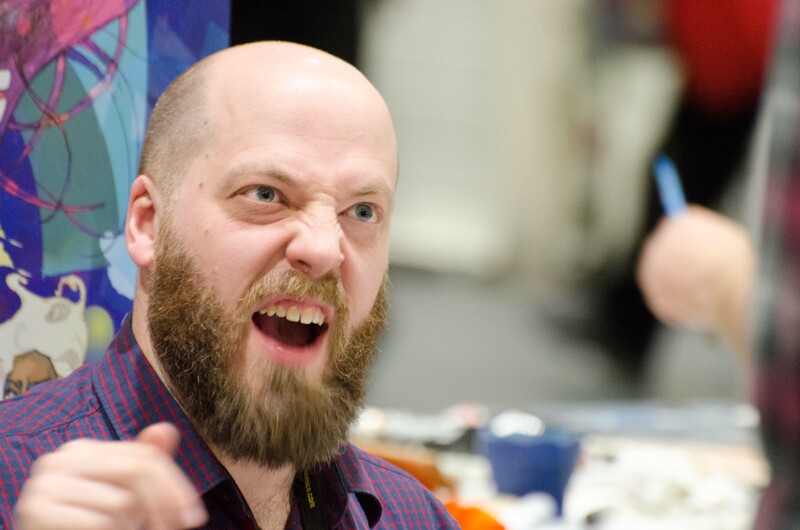 As I spied Christian Ward, I kicked myself for not bringing ODY-C to the con but then I realised I did not really enjoy it. It wasn’t that I didn’t appreciate the art or writing but I found it very incomprehensible. My first question to Christian was whether he had read the Odyssey, obviously he hadn’t but had a rough idea of the main bullet points. Matt Fraction certainly has and I inquired about the style and creative control. He pointed out that they talk each day about the issues and the progress of each page. He said that all the styling is his own and the characterisation is specific to the characteristics of the person involved. I also remarked that the colouring was intense yet incredible and Christian stated that the book was firmly his vision. As with all artists, they enjoy creative freedom over all else. I also mentioned that I found the book difficult to follow and it was weird. Christian said that the book seems completely natural to him because that is how he pictures it inside his head and so the weirdness is completely normal to him. I said that no one could argue how aesthetic the book was and went on my way. 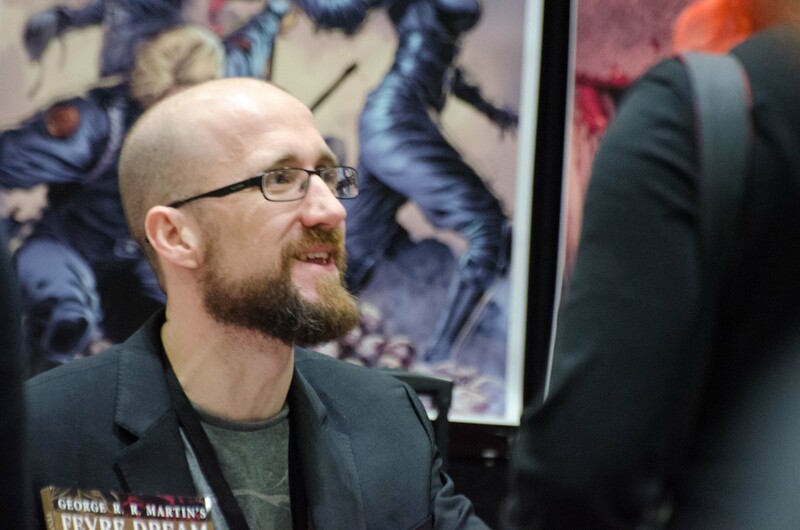 I have now met Kieron Gillen five times at all the conventions I go to. I deliberately asked him about the role of Disney in his writing of Darth Vader. My reasons for this are that the book is not quite of his imagination and it is remarkably tame. 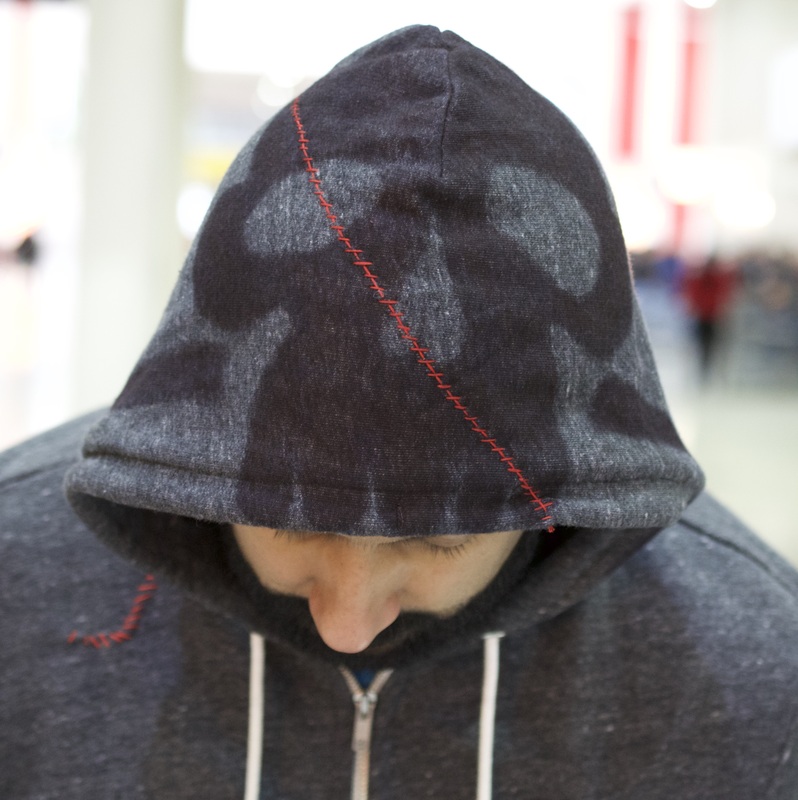 He said that Marvel have meetings where the whole plot lines for the current books, comics, computer games are discussed and progress separated out to the different creators. Therefore his work is following a very clear multimedia plot line that he has to stick to. This is explains why I find that book so banal. I also commented that I miss Canaan White on Uber because his horror looked the most impressive. Gillen diplomatically agreed and said he was missed but had other projects that he could not really turn down. As I left I expressed my excitement for the next Phonogram series. 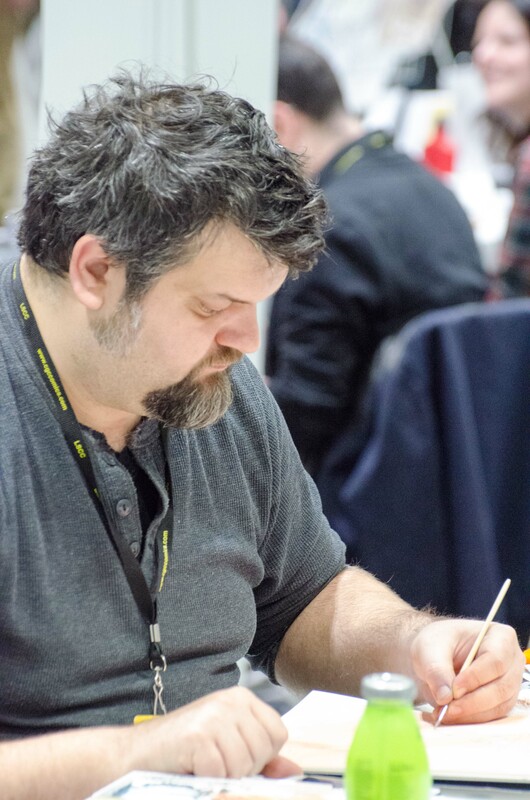 Tim Seeley seemed to be in quite a rush and was sketching away. I am always amazed how well some writers can draw, especially a character as distinctive as Grayson. 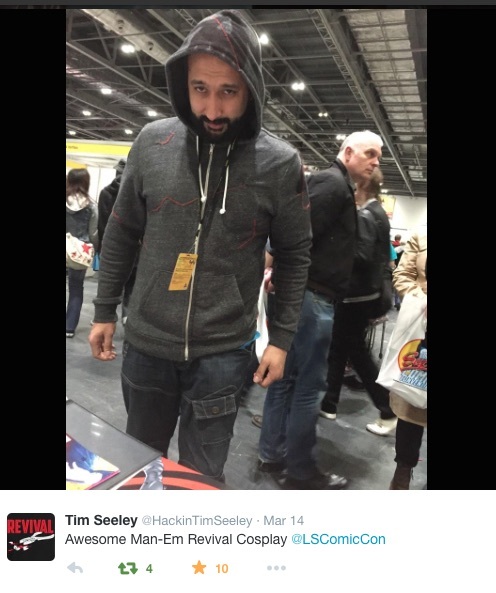 He noticed my Em cosplay hoodie which I spent a few hours colouring and sewing. He really liked it and I became the only man to have ever cosplayed as her, and one of a small group of women too! He took some pics, tweeted them and then I asked him to sign some issues of Grayson. I commented that I thought the final issue and the Future’s End one shot were amazingly well plotted out and written and he mentioned how Tom King has been instrumental in those books. I left him to continue his sketches. As I wandered around, Sabine Rich’s table caught my eye because she draws the most wonderful women. And that was why it caught my eye, there were no men. I looked through her portfolio and asked her why she only really drew females. She answered that people only seem to buy pictures of women. She pointed out a male character in her folder, who was also remarkable effeminate. She said she drew a lovely Thor last year but nobody bought it. As the discussion continued we decided it was because men buy women but also women will buy women too. I pointed out how beautiful her paintings were and said that I could no justify buying one, because I already have too many pictures of women on my walls. I could only appear like a pervert if I bought more, and I am more than happy with my Adam Hughes prints! She laughed as I bid her farewell. 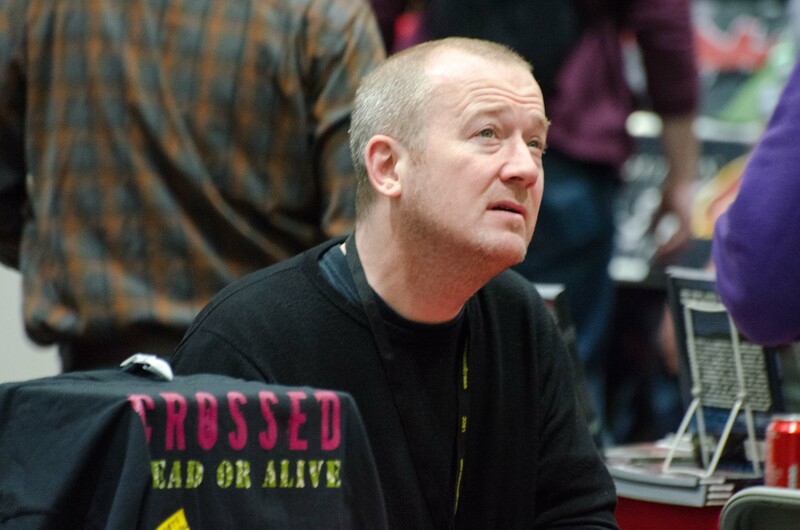 I must make mention that this year I did not venture towards Garth Ennis & Neal Adams because you had to buy a graphic novel or comic from the Avatar table or one of Adam’s own work just to get it signed. 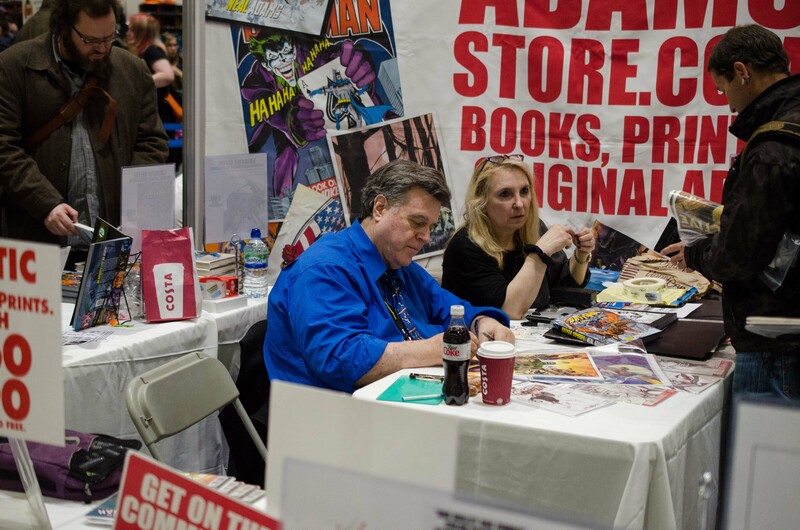 I though this frankly ridiculous that you couldn’t even get your comics signed without paying an entrance fee. I appreciate that this is a more commercial convention and the companies are allowed to make some of their own rules, but this was too much for me and I found it just irritating. I took a couple of photos of them…from afar! 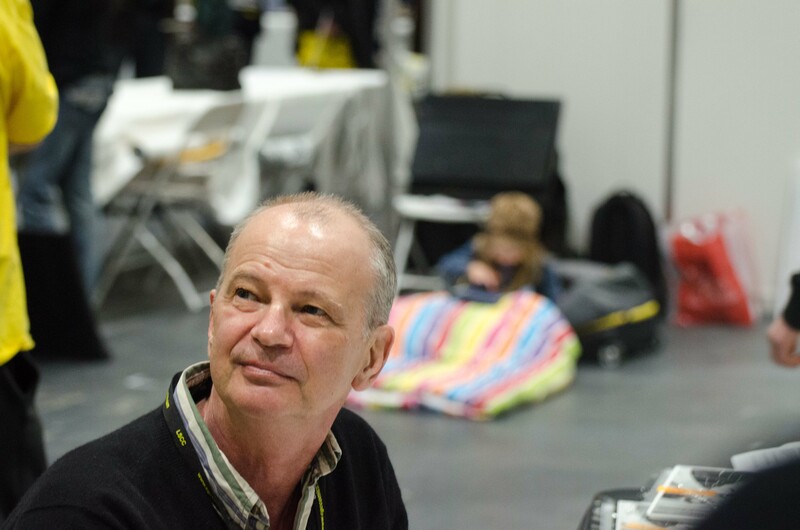 I also spent some time taking photos of creators and these follow as a pictorial of sorts. 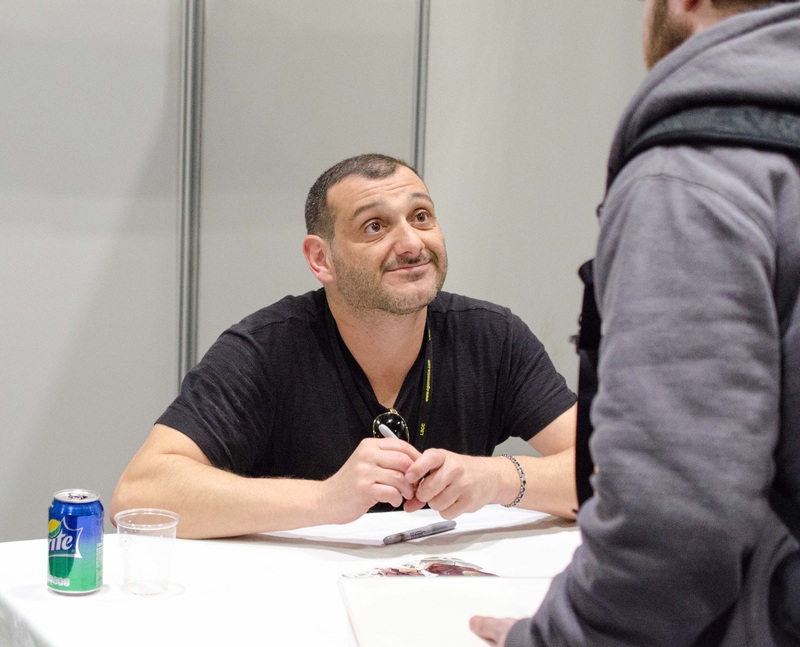 Simone Bianchi was signing and in good spirits as was the great Lee Garbett, who was as lovely as ever! 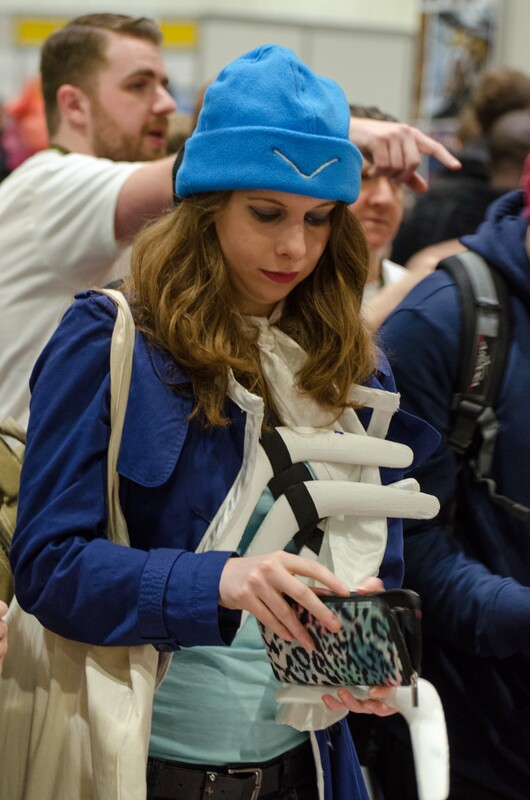 As well as the ridiculous amount of cosplaying that was happening, and I took some pictures of the more obscure ones. 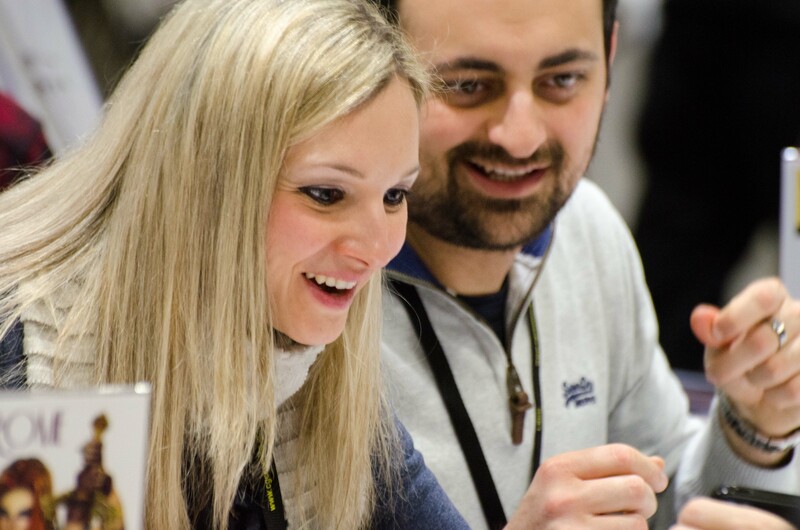 There are plenty of photos soon to arrive on the official site because there were millions being taken this weekend. Once again the conventions are made literally hundreds of time better because of the people you go with. I was so happy to meet Fee, Samantha, Joe but I was unlucky not to get a photo with them. 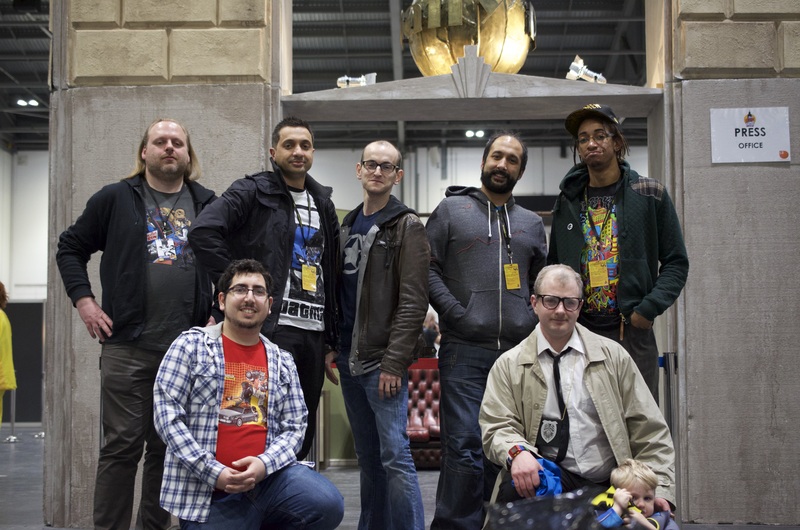 However the Horizon Labs group were in full force (Tobias @nicsopana, Rob @refgemlin, Rathan @fractures, me, Kyle @Johnnytimpulse, George @Scampi_N_Chips, Mark @dirtylash with little Jack) and I also got to meet the awesome Tony from Belgium (@TonyVnrs). 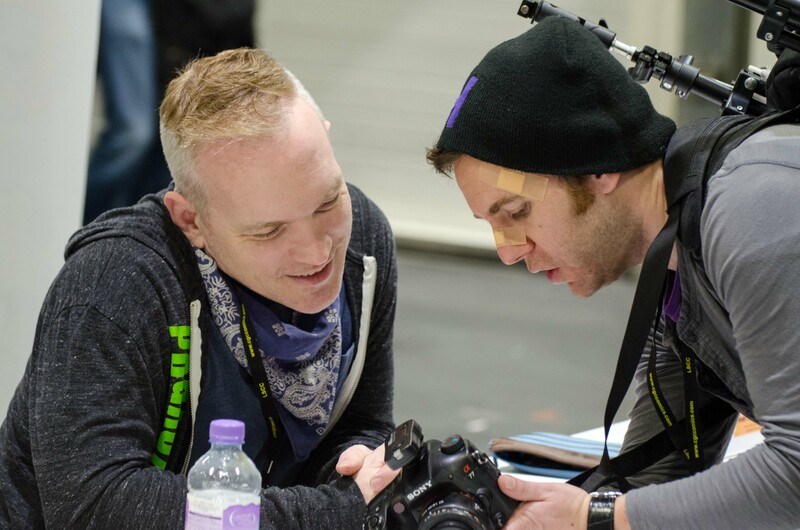 As always they make my convention all the more enjoyable, especially ogling the amazing sketches Tobias always seems to get, the irritation levels of Rathan when I ask him for more money, the great efforts Mark goes to for his cosplay, the witty banter with the ever so loveable Rob and the pure chilled out demeanour of Kyle. 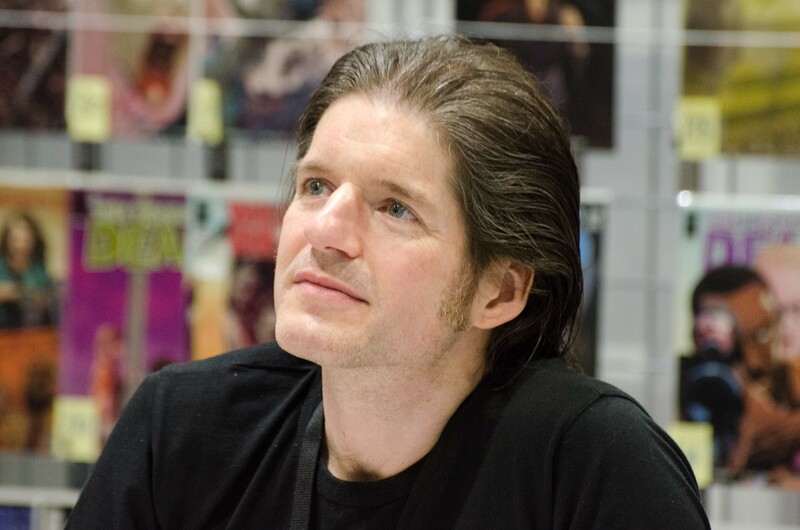 It is always a pleasure and Thought Bubble awaits! 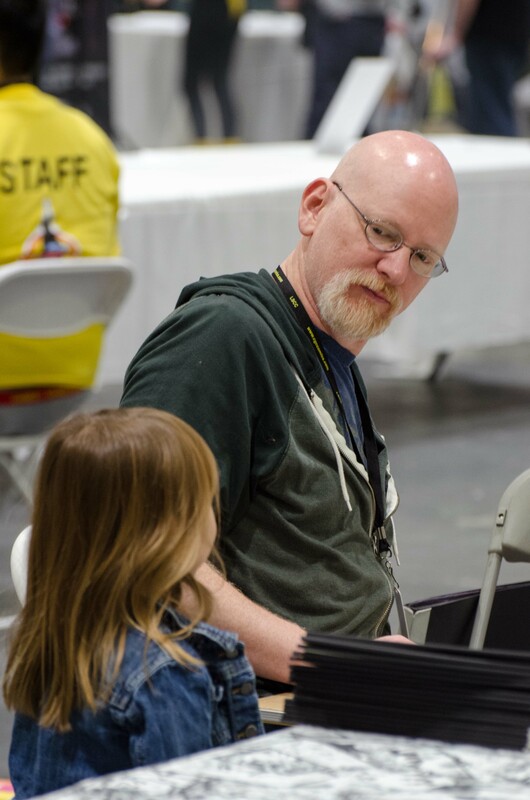 At Indiana comic con this year in order to see George Perez you had to be one of the first 100 people in the door to be entered into a drawing and then 50 names were selected and those names got to see George and pay $20 a signature. I was very unimpressed with that. 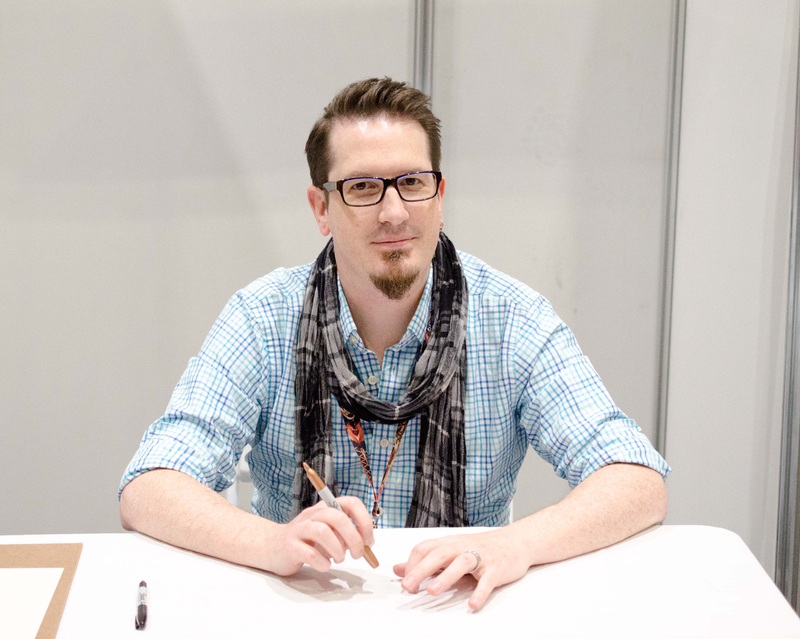 What is Kieron Gillen like? you said you’ve seen him 5 times now and he’s one of my favorites. 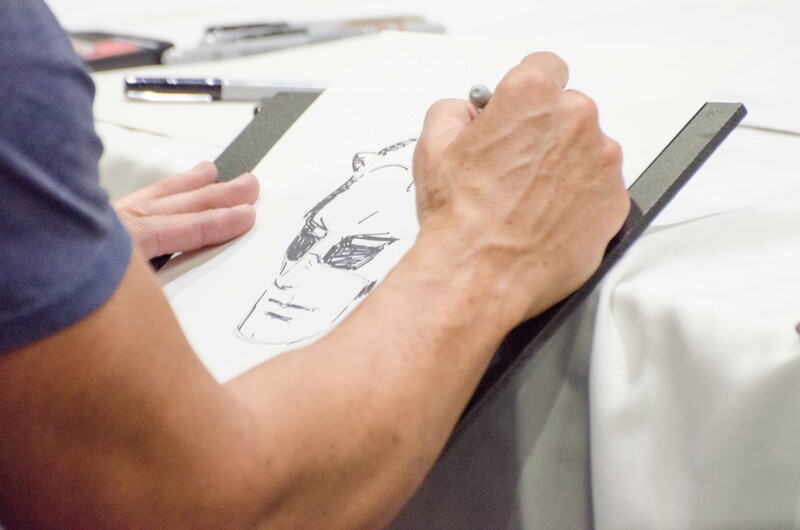 Oh wow, George Perez was here in 2013 and was quite lovely and easy to talk to. I think that paying for a signature is taking it far too far and separating the love a fan has from his/her money. That makes me quite sad. 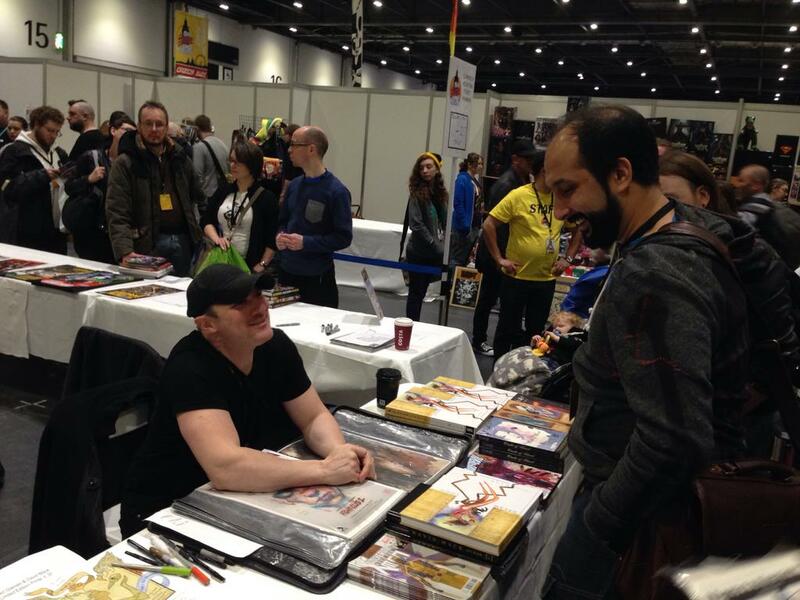 Kieron Gillen is often present at almost every con I have been to and is nothing short of a gentleman. He is always cheerful and happy to talk to people. I do hope you get t meeting him sometime!